Food & Nutrition Service Departments across the nation are faced with increasing competition for student dollars. Some heavy contenders? Off campus eateries & convenience stores and unhealthy snacks brought from home. In addition to the often complex task of serving hundreds – if not thousands – of school meals a day, department leaders are now tasked with promoting their meal programs to remain competitive while advancing their healthy changes. Fortunately, the School Food Initiative (a program of LiveWell Colorado) has more than 40 tools and templates to support the promotional efforts of school food leaders, namely Food Service Directors. 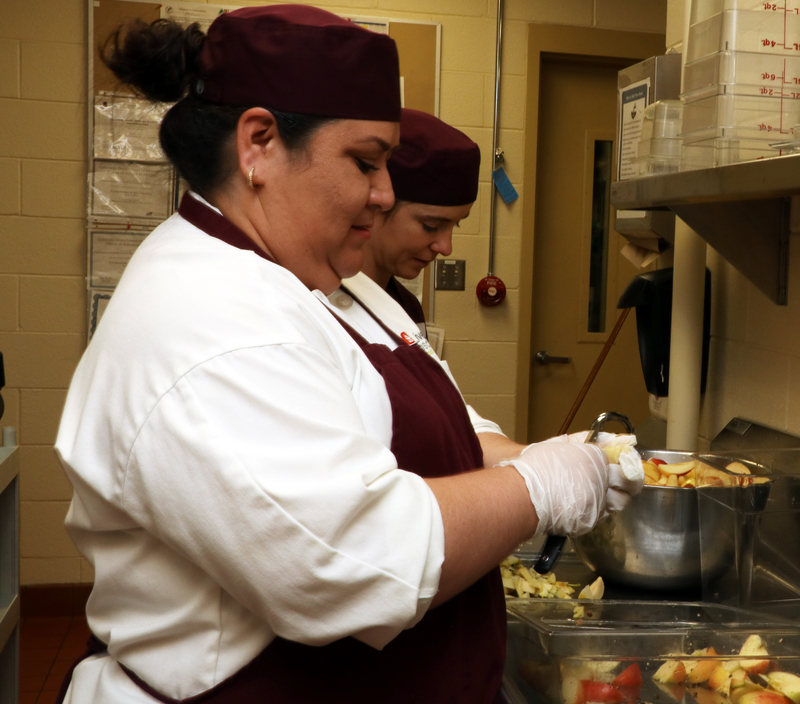 In 2016, eight Food Service Directors enrolled in the School Food Initiative, where they would receive a multitude of technical support, including assistance with the promotion of their school meal program. To help Directors achieve their objectives, each one selected three to four promotional goals, utilizing the tools available in the Initiative’s Online Resources bank. Favorites among this group were the Back to School Letters and the Press Release Tools, both of which showcase meal program awareness, partnerships or new healthy & delicious happenings. With the Campaign Planning Tool, each Food Service Director started building his/her own customized Marketing Campaign Plan. Once completed, district leadership deployed their respective targeted marketing efforts throughout the school year to enhance program perception among students, staff, board members, parents, and community. Putting in a few extra hours of work at the start of the school year certainly paid off. In just two years of utilizing these promotional tools, the 2016 cohort had numerous marketing successes, including the publication of more than 14 news features. One district even earned national recognition by the EPA for their waste-reduction efforts; another was central to an Action for Healthy Kids spotlight video, highlighting its school meal enhancement efforts. Most districts updated their websites, presented to their boards and initiated social media posts highlighting their programs. Thanks to a community-supported effort, one district went from 0 to 20 salad bars, and all districts reported feeling more support from their community around the meal program as a result of their promotional efforts. “This cohort [Thompson R2-J, Englewood 1, East Grand 2, Fort Morgan, Moffat 2, Idalia RJ-3, Centennial RE-1 and Ouray RE-1] serves as a prime example of how a well thought out marketing plan can have positive returns in both exposure and community buy-in,” says the School Food Initiative’s Program Director. Food Service Directors often wonder what to promote, but then quickly realize they have so much good news to share about their program, their team and their partnership efforts. Asking for and receiving support is the backbone of what makes Food & Nutrition Service Departments grow and thrive, and marketing is the vehicle for that support! In addition to these tools and templates, the School Food Initiative has a variety of webinars and videos, spotlighting local leaders who are achieving success utilizing a mixture of tactics, resources, and department advocates. Use any combination of these free resources to help support your marketing goals as well as publicize your achievements, and don’t forget, many of these tools can be customized to suit your needs. Learn more about what’s available specifically for you here.